After a week of heavy school work, sermon prep. , and preaching I am excited to have a week of slight reprieve! In case you missed Friday’s hymn, Hymn of the Day: Hail the Day, it played really well with the theme of my sermon on Christ’s glorious return. Today’s hymn is another Sovereign Grace worship song. This song was written by pastor and author Tim Chester. If you haven’t read his book You Can Change then I exhort you to do so! It really helped me in my Christian walk. Come Praise and Glorify will also help you in your walk! 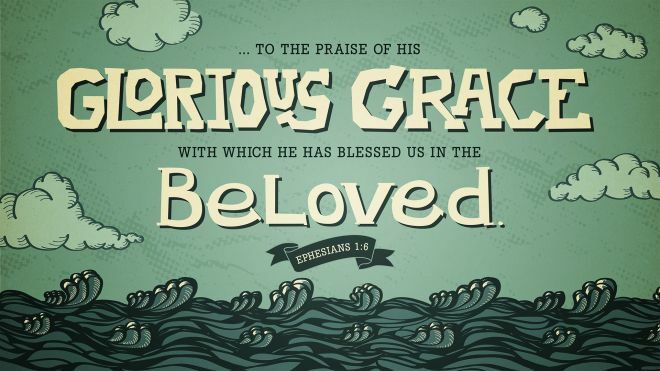 Each of the three verses focuses on the Triune God as seen in Ephesians 1:3–14. Verse one is singing praise to God the Father, who has blessed us with all the spiritual blessing in the heavenly places in Christ Jesus his Son. Verse two turns the praise to the Son of God who has washed us in his blood to redeem us from sin. Finally, verse three looks at the Holy Spirit’s work in our lives and how he is the guarantee that we will receive the inheritance promised to us in Christ. Take a listen to this wonderful song of praise!